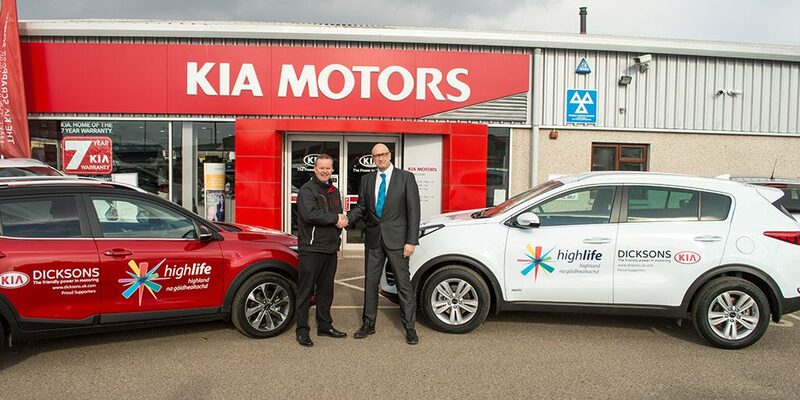 The deal announced earlier today sees Dicksons providing two Kia vehicles as part of a partnership arrangement with one of the Highlands’ largest charities. The jointly branded vehicles will be used to help High Life Highland staff during their business across the region, throughout Scotland and beyond. Dicksons of Inverness is a family run business and a well-known name in the Forres area since 1961, and in Inverness since 1992. Dicksons of Inverness has a record of developing a strong local presence and affinity within the community. 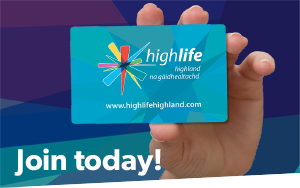 High Life Highland is an ideal partner to support Dicksons achieve their community aim as it delivers a wide range of cultural, sporting, leisure, learning and health & wellbeing services throughout the Highlands, for both residents and visitors. “I am delighted to announce this new corporate partnership with Dicksons of Inverness which sees two local companies working together for the first time. The new relationship delivers strong benefits for both businesses and we look forward to developing a long and successful working relationship”. “Dicksons of Inverness is both delighted and proud to be able to support High Life Highland. As a local business in the Inverness area we want to support the local community as much as possible. “The extensive work undertaken by High Life Highland stretches across North Scotland and beyond and we are proud that Dicksons is able to support the HLH team members in reaching the communities making use of their many services. Nominate a member of the team!